I don’t normally use such click bait-y headlines for my blog posts, but today I had to and I’m not even a little bit sorry about it. Which, ummm… dramatic much, Google? See, over the last year, Google has been fighting for a more secure internet, and that all starts with having an SSL Certificate running on your website. First, this message targeted e-commerce sites and membership sites since people would have to enter their credit card numbers, or login information before accessing the site. But now, they’re rolling this security measure to ANY site. 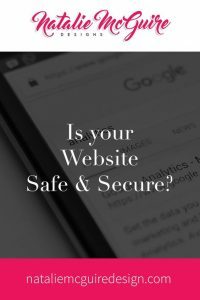 So, how do you know if your site is secure or not? Well, look at your domain name right now at the very top of your browser. Do you see a HTTP or HTTPS? If you have HTTPS, you’re good! Your site is secure! If you see just a sad, lonely S-less HTTP? You’re gonna want to get an SSL and fast. If you don’t have an SSL, contact your website hosting provider and find out how to set up an SSL on their system. After you get your SSL, here’s an article all about how to change your domain in Google Analytics to HTTPS as well. 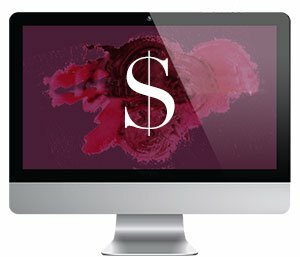 This is just one of the many lessons you’ll find in my course, DIY Websites That Sell, where you’ll learn everything you need to know to re-design your current website (or build a new one) so your website isn’t just a pretty theme: It actually makes you money by converting users into customers. Next week, the course goes on sale for Black Friday with 10% of the profits being donated to Puerto Rico, so stay tuned to your inboxes for plenty of giveaways, freebies, and fun, from me! 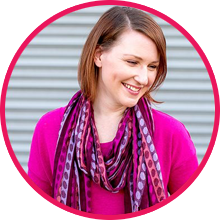 If you’ve tried DIY-ing your website already, but it’s clunky, doesn’t function properly, and isn’t bringing in customers or e-mail sign-ups, then this course DIY Websites That Sell is made for you.